Charles of Bourbon left the Throne of Naples in 1759 to take that of Madrid (by this he sanctioned de facto the definitive separation of the two Crowns). He appointed as his heir in Naples his third son, Ferdinand, then aged 8, and entrusted him to a Regency Council formed by 8 people, among which Prime Minister Tanucci and the Prince of San Nicandro, Ferdinand’s uncle. The former had the precise task of being the political guide of the Kingdom, the latter was tasked with the child’s education. Born in Naples on 12 January 1751, the son of King Charles of Bourbon and Maria Amalia Walburga of Saxony died in Naples on 4 January 1825. He reigned for one of the longest periods in history, if we date the reign from 1759 (66 years). Until he came of age, the kingdom was run in all respects by Tanucci, who continued without delay the reformist policy of Charles of Bourbon, in close agreement with the Throne of Madrid. Those were the decades of the famous Bourbon reformism, also continued by Ferdinand until the years of the revolutionary storm. In 1768 he married Maria Carolina of Austria, daughter of the Empress of the Sacred Roman Empire Maria Teresa of Habsburg, and therefore sister of Emperor Joseph II, Emperor Leopold II and the Queen of France Maria Antoinette. Ferdinand’s heir, Francis, was born after five girls (of which Maria Teresa became Empress of Austria, Maria Amelia Queen of the French, Maria Luisa Grand Duchess of Tuscany). Maria Carolina arrived in Naples when she was just 16 and immediately acquired a great weight in Ferdinand’s political choices, especially after the birth of Francis. 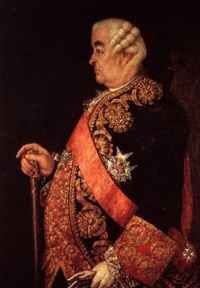 A clash with Tanucci was therefore unavoidable, as unavoidable was the progressive break with Madrid, in which the Queen succeeded in involving also Ferdinand (this was of deep sorrow for the then old King of Spain, who saw not only the political control escape him, but also in a way his son Ferdinand). In 1775 Maria Carolina officially became member of the State Council; at first, Tanucci had to consent to a great reduction of his scope of action, and then he had to leave the scene in 1777. Two years later, his place was taken by the British Minister Prince John Acton, who during the years enjoyed the total confidence of the Royal Highnesses, which allowed him to transfer the Kingdom from the Spanish influence to the British one (confirmed, in the crucial years of Napoleonic wars, by the presence at the Court of Horatio Nelson and several other British people who exerted a great influence on the decisions taken by Maria Carolina). However, after Tanucci left the scene, the reformist process was not stopped. After all, the parents of both monarchs (Charles of Bourbon and Maria Teresa of Habsburg) had both been reformers and had moulded their children’s way of thinking in the same way (as Joseph II showed with unremitting zeal in Vienna!). This policy of reforms had to be stopped due to the weight of the revolutionary storm of the ’90s. The events of France, at first only worrisome but then tragically devastating (fall of the Monarchy, Jacobin Republic, murder of the King and then of the Queen and their young son, civil war, the Terror, Robespierre’s dictatorship, hundreds of thousands of casualties, etc.) forced a natural change in the naive and open-minded political views (sometimes lacking critical discernment) of the two Neapolitan monarchs. Especially after 1794, due to the French events and the discovery of a republican conspiracy in Naples. Ferdinand and Maria Carolina began to understand the true face of the reformer [In some historical events, the future traitors are always hidden among the closest and ever-present praisers. All the so-called Neapolitan intellectuals – mostly aristocrats close to the Royal couple and honoured and rewarded by them – did not miss any occasion to praise Maria Carolina as a lantern of progress and civilisation and present Ferdinand as a “new Titus”. It was them who set up the Neapolitan Republic with the help of the armies of the Napoleonic invaders. ], especially the Enlightenment and Masonic intellectuals (that until then they had always supported). Despite some further attempt of reconciliation with the newly born French Republic, Ferdinand actually joined international anti-revolutionary and anti-Napoleonic Coalitions and in so doing remained also faithful to the Bourbon “family pact” and his alliance with the British. In 1796 the young Napoleon Bonaparte started his invasion and gradual conquest of most territories belonging to pre-unification Italian States: he met everywhere, as sole and ferocious resistance, the spontaneous armed rebellion of the Italian populations – the counterrevolutionary risings – who rose up to defend the Church and their Catholic faith and lawful sovereigns and governments (in short, they rose up against the revolutionary aggression to protect their centuries-old civilisation, society and traditional identity). In February 1798, the revolutionary armies invaded the Papal State, provoked the escape of pope Pius VI, and set up the Roman Jacobin Republic. In November, Ferdinand, aware that the Napoleonic army was marching towards Naples to complete the conquest of Italy, decided to declare war against the French also to free Rome and let the Pope come back to his State. The Austrian General Mack received the command of the forces, but his choice immediately turned to be a wrong one. He entered Rome without striking a blow (the Neapolitans were welcomed in triumph by the Romans), but then facing the attack of the Napoleonic general Championnet, Mack miserably fled the scene and the Bourbon army withdrew in confusion. Championnet had finally an excuse to march on Naples. On 8 December 1798, Ferdinand issued a proclamation to all his subjects and invited them to resist in arms against the invaders. No other proclamation was ever taken literally as this one. Tens of thousands of men from all social classes and of all ages, including women and the elderly, took arms against the French and fought bravely for six months to reconquer their kingdom. In fact, on 22 January 1799, the French succeeded in conquering Naples, even with a huge number of casualties. In Naples, to take real possession of the city and set up the “Neapolitan Republic”, the French had to massacre 10,000 “Lazzaroni” who had risen up in the name of Ferdinand. 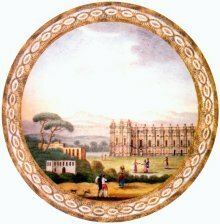 On 22 December 1798, the Court moved to Palermo, and Ferdinand had left Naples in the hands of a Council of Aristocrats and the Royal Vicar Pignatelli. Popular discontent was everywhere and feelings of loyalty to the dynasty were expressed, everyday became more “threatening”. At the end of January, Cardinal Fabrizio Ruffo of the Princes of Scilla went to Palermo and asked audience to the King to present him a brave project: he asked the king to give him ships, men and money to make a military expedition to reconquer the Kingdom of Naples with the help of the population, which would be surely given. The project was so brave that the sovereigns were puzzled; at the end, after Ruffo’s insistence and due to the fact that nothing better had been planned, Ferdinand granted the Cardinal only one ship and seven men, but he also gave the Cardinal the official title of King’s Vicar for the kingdom of Naples. Ruffo felt satisfied with what he had been given, since he was sure that the population of the continental kingdom would follow him. On landing in his territories in Calabria, he just had to pass the word round about his intentions and new powers. In just a few weeks he had an army of tens of thousands of volunteers who had come from all across the kingdom to defend the Bourbon cause and die to drive out the Jacobin invaders. Ruffo established “the Royal Catholic Army” (Armata Cattolica e Reale) in the name of Ferdinand IV, who in the span of three months, came back to Naples in triumph and restored the Bourbon monarchy on 13 June 1799, the day of St. Anthony, official patron saint of the “Armata della Santa Fede”. Meanwhile, Ferdinand and Maria Carolina reached Naples via sea, preceded by Nelson, who had the order of making justice of Jacobin traitors resisting in Castel S. Elmo and surrounded by the Sanfedist Army. Ruffo, aware that Nelson would massacre them all, offered them to escape via land; but they thought to better trust a Protestant than a Catholic and surrendered to the British Admiral, who hanged 99 of them with the approval of Maria Carolina more than of Ferdinand. These were remembered as the Jacobins of the Neapolitan Republic, “victims of the Bourbon”, as national historiography has always reported. We cannot here engage a historiographical and ideological controversy. But we make a consideration: of course, justice had to be applied with mercifulness. But historians have always wanted to forget the infeasible need for justice, in a situation in which all terms were clear: the subjects – many of which very close to the Crown – had been found guilt of high treason since they had driven out the King and set up a revolutionary republic established not only on the arms of foreign invaders but also and mainly deprived of all popular support, as history has shown, and, even more than that, the kingdom’s population bravely fought against the invaders and remained loyal to the Bourbon. The Neapolitan republicans (a few hundreds in all) had not been voted nor welcomed by the million inhabitants populating the kingdom; on the contrary, the population strongly opposed them. Therefore, their only power consisted in the foreign armies, with no prestige or consensus. They were in all respects “traitors of their country” subdued to foreign invaders and responsible for a very violent civil war, although pro-Risorgimento historiography has always presented them as heroes and “martyrs”: but from the point of view of their lawful sovereign their actions could not go unpunished: common sense shows that, and we can be sure that other acclaimed sovereigns – or Heads of State – sometimes would not have behaved in a very different way in a similar tragic situation. Ferdinand and Carolina came back to Naples in triumph and with full consensus of the populations who had spontaneously fought on their behalf. They reigned in peace until 1805, but then the Napoleonic storm broke again over them. In the beginning of 1806 the French Emperor conquered the Kingdom of Naples and put his brother Joseph on its Throne. Once again, the royal couple and the Court had to move to Palermo, and the spontaneous Sanfedist guerrilla started over again (although this time there was no new “Royal and Catholic Army”), and lasted until 1810, and in Calabria until the Restoration. In 1808, from Paris, Napoleon decided that Joseph had to go to Madrid and put on the Throne of Naples his brother-in-law Gioacchino Murat, who remained in charge until 1815, the year of the European Restoration. Moreover, in 1815, Murat, in despair for the final victory of the restoration forces, staked everything and landed in Calabria inviting the farmers to rise up in arms against the Bourbon: the farmers shot on him, arrested him and then executed him. By the final defeat of Napoleon and the Congress of Vienna, the whole Europe began a new phase of its history known as Restoration. This time Ferdinand chose to be officially called “King of the Two Sicilies” [During his rule in Palermo, the British present at the Court had fostered the autonomy of Sicily and forced him to grant the Constitution of 1812 and expel Maria Carolina from the island. She would die in exile in 1814], therefore becoming Ferdinand I. He then decided to implement a perhaps too generous policy of national reconciliation. In fact, not only did he leave Murat’s collaborators unpunished, but often confirmed them in their positions, roles and privileges they had acquired under the Napoleonic regime; and he did this especially for military officers, a thing he would be forced to regret very soon. At the Court, a clash was in progress between Minister de’ Medici (pro-liberal and mason), the Minister of Police Antonio Capece Minutolo, Prince of Canosa (Catholic and intransigent, counterrevolutionist and loyal to the Bourbon, implacable enemy of mason sects and of all revolutionary trends). Ferdinand, however, gave prevalence to de’ Medici, and this caused another pro-constitution revolution in 1820, which was organised and implemented by the mason sect of the political secret society of the Carbonari. At the beginning Ferdinand accepted to grant the constitution; but the situation was different than in the past, and he knew well that – according to the principle of legitimacy set by the Congress of Vienna and the agreements decided by the Holy Alliance – Metternich would soon take actions against the revolutionists. And in fact he did so. A Congress of the Holy Alliance was held in Ljubljana, and an intervention against Naples was decided. The Neapolitan Parliament sent Ferdinand himself to Ljubljana to plead the cause of the constitution; but, of course, when he arrived there Ferdinand asked Metternich to intervene against the Neapolitan revolutionists, which Metternich did. So Ferdinand restored absolutism and lived in peace the very last years of his long and tormented kingdom. he started new constructions: Favorita of Palermo, Church of S. Francis of Paola in Naples, etc. he continued the excavations at Herculaneum and Pompei. he published the military Criminal Code. he greatly diminished direct and indirect taxes to be paid by the citizens (especially those to be paid to the barons), such as the tax on tobacco, tolls and silk in some provinces. he introduced the duty of the magistrates to justify their decree. This is the King that the national historiographic “vulgata” has always presented as an ignorant, unrefined, fanatic and reactionary person. A “Rascal”, “popular” King; and in fact the people always took his side.